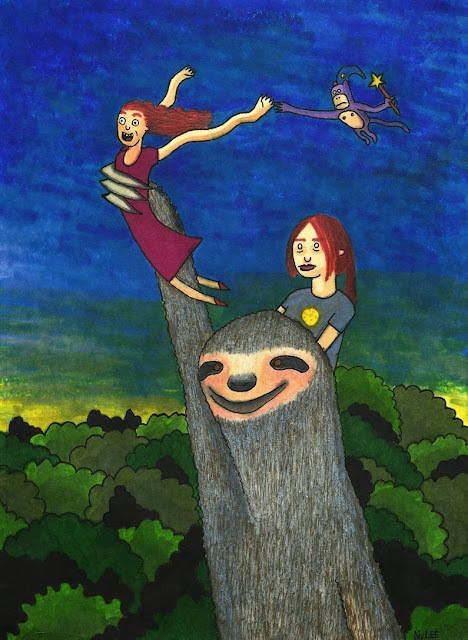 Here's an illustration that I did for my two youngest sisters, recently. I had to babysit them for a week while my dad was out of the country, so I drew this for them. They chose their own companion creatures.